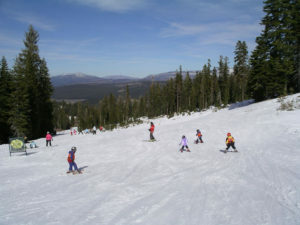 Northstar is the best family resort in Lake Tahoe. 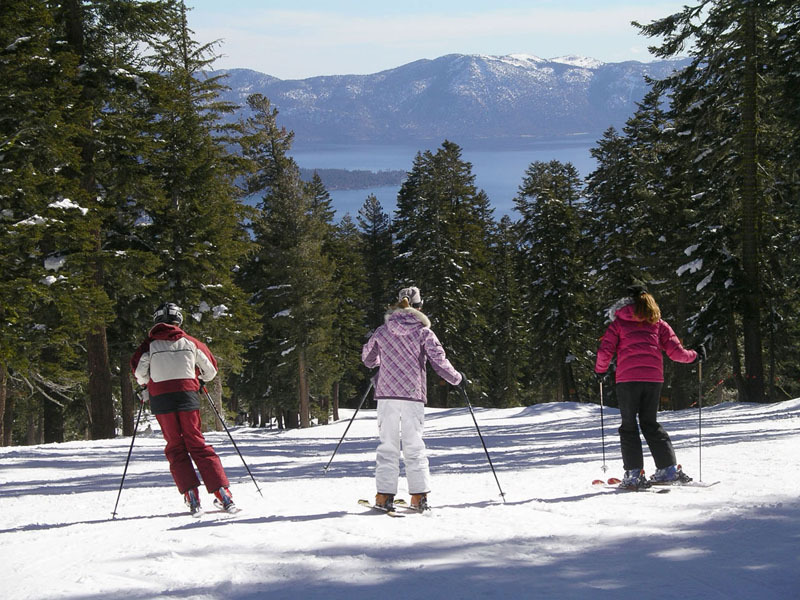 Located on Lake Tahoe’s North Shore, Northstar has a beautiful new mountainside village with an ice skating rink, bonfires, inviting outdoor couches, restaurants, shops and bars. From the sophisticated Village, the gondola launched you up to Northstar’s terrain, which includes almost 100 trails and six high-speed quads, yes- it does get busy on weekends. Northstar has skiing and riding for every ability level, and terrain parks aplenty including a Burton Stash with natural park features in the forest. Nothing is super steep at Northstar, but the back side has long well-pitched black diamonds and the best lake views amid towering lodge pole pines. There is also a beautiful view of Lake Tahoe from Northstar’s Summit Deck at 8,610’, great meet spot or lunch stop. For après ski, Champagne is served at 2pm at Tost on the East Ridge, or head to the village and Tavern 6330′ by the Gondola to sip cocktails while the kids enjoy s’mores. For lodging, Northstar now features an on mountain Ritz Carlton Northstar, or stay on the Lake in an inn, condo or hotel. Keep an eye on Northstar’s master plan which proposes 7 new lifts and 700 acres of ski terrain in the next ten years, so that it would surpass Heavenly, Squaw Alpine and Mammoth in California skiing. Northstar is managed by Vail Resorts, part of the Epic pass, along with Heavenly and Kirkwood also in the Tahoe ski region.